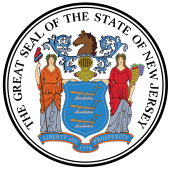 ↑ "New Jersey Legislature, Historical Information". Retrieved 2009-08-12. 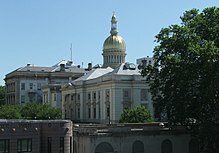 ↑ "New Jersey Legislature – Our Legislature"
↑ "New Jersey Constitution 1947". Retrieved 2009-08-12. This page was last changed on 16 April 2016, at 13:58.